Focal Point's beautifully crafted products are the results of more than 35 years of design and manufacturing expertise. Featuring a wide selection of designs and sizes with crisp, impeccable detail that is unattainable with wood. The collection consists of hundred of products including mouldings, medallions, domes, niches, door systems and other architectural elements to help you design with distinction. We invite you to browse Focal Points full line and discover the Art of Architecture. Focal Point Ceiling Medallions: Easy to install decorative ceiling accents and ceiling medallions. These ceiling medallions are offered in almost every size to meet your architectural and home design needs. Focal Point Extra Small Ceiling Medallions (Under 10 in. ): Extra small ceiling medallions under 10 inches in diameter. Focal Point Small Ceiling Medallions (10 in. - 20 in. ): Small ceiling medallions between 10 and 20 inches in diameter. Focal Point Medium Ceiling Medallions (20 in. - 30 in. ): Medium ceiling medallions between 20 and 30 inches in diameter. Focal Point Large Ceiling Medallions (30 in. - 40 in. ): Large ceiling medallions between 30 and 40 inches in diameter. Focal Point Extra Large Ceiling Medallions (Over 40 in. ): Extra large ceiling medallions between over 40 inches in diameter. Focal Point Non-Elliptical Medallions: Ceiling accents & ceiling medallions with a non-elliptical design (squares, diamonds, rectangles, etc.). Focal Point Quick Clip Medallions: Collection of Quick Clips medallions. Various sizes and designs of the Quick Clip medallions that allow for fast installation with the patented installation system which locks medallion into place with a simple twist of the medallion. Quick Clip medallions do not require adhesive nor finding any studs. Easy-mount hardware is included with all Quick Clip medallions. Focal Point K-ease Medallion System: Focal Point's do-it-yourself K-ease ceiling medallion System (base and keystones). Focal Point Domes: Dramatically enhance an entry way or room and increase the ceiling height with a decorative architectural ceiling dome. Focal Point Rims: Highlight your lighting fixtures and ceiling with an architectural ornamental rim. Focal Point Rosettes: Rosettes offer as easy to install and simple quick decorative solution for any architectural project. 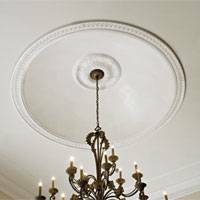 Focal Point Crown Moldings: Intricate crown moldings with precision detail to add an elegant decorative architectural touch to any room or outside of a building. Focal Point Extra Small Crown Mouldings (Under 2 in. ): Extra small crown mouldings under 2 inches in height. Focal Point Small Crown Mouldings (2 in. - 4 in. ): Small crown mouldings between 2 and 4 inches in height. Focal Point Medium Crown Mouldings (4 in. - 6 in. ): Medium crown mouldings between 4 and 6 inches in height. Focal Point Large Crown Mouldings (6 in. - 8 in. ): Large crown mouldings between 6 and 8 inches in height. Focal Point Extra Large Crown Mouldings (Over 8 in. ): Extra large crown mouldings between over 8 inches in height. Focal Point Quick Clip Crown Moldings: Install professional quality moulding and create elegance in a snap. This collection of Quick Clips crown moldings is a patented, award-winning, revolutionary molding installation system that changes the way moulding is installed. A quick and easy installation that requires no nail holes to patch, no adhesive to use and incorporates molding blocks to eliminate the need to miter corners. A very quick and easy installation prefer for the Do It Yourself. Focal Point Chair Rails: Decorative chair rails to add a touch of architectural detail and enhance the wall decor. Focal Point Casings: Decorative trim moldings and casings to enhance the framing around doors and windows. Focal Point Friezes: Decorative friezes to add a touch of architectural detail and enhance the wall decor. Focal Point Panel Molding: Use panel moldings to instantly and easily create frames on walls and ceilings. 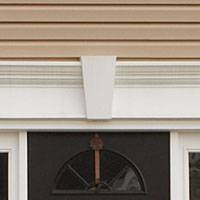 Focal Point Panel Molding Corners: Use panel molding corners to add an elegant curved corner to panel moldings. Panel molding corners eliminate the need to miter corners and offer a simple and unique solution for creating frames on walls and ceilings. Focal Point Baseboards: Simple and ornate decorative baseboards to match crown moldings and chair rails and enhance the entire room. Focal Point Moulding Accessories: Molding accessories to complement moldings, such as molding blocks, pre-mitered inside corners and pre-mitered outside corners, or Focal Point's Quick Clips molding installation system and Focal Point's Moulding Mates. Focal Point Entry Systems: Creatively mix-and-match keystones, pilasters, capitals, plinths, transoms, crossheads and pediments to create an elegant entry way. Focal Point Capitals: Entry system capitals to complement an elegant architectural entry way. 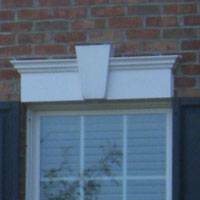 Focal Point Crossheads: Individual crossheads to add architectural detail to an entry way. Select crossheads can be used with keystones while others can be customized with keystones. 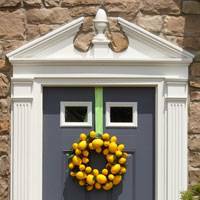 Focal Point Pediments: Individual pediments to add architectural detail to an entry way. Focal Point Pilasters: Entry system pilasters to complement an elegant architectural entry way. Focal Point Plinths: Entry system plinths to complement an elegant architectural entry way. 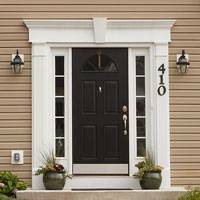 Focal Point Door Surround Suggestions: Suggestions and ideas of different ways to mix and match plinths, pilasters, capitals, crossheads, pediments, and transomes to create various entry way systems with just the right amount of architectural detail desired. Focal Point Window Headers: A large selection of window headers to emphasize and enhance widows. Window headers are available with compatible keystones and select window headers can be customized with keystones. Focal Point Keystones: Collection of keystones to be coordinated with window headers, entry system crossheads and door headers. Focal Point Accents: Enhance any interior or exterior space with a simple and easy to install wall accent or applique. Focal Point Corbels: Use corbels in any exterior or interior decor design to transform shelves, cabinetry, entry ways, frames or even mix them with mouldings. Focal Point Louvers: A wide range of louvers in multiple sizes and shapes to meet specific requirements and available as architecturally decorative louvers or with screening to allow for functionality and ventilation. Focal Point Cathedral: Cathedral louvers available as architecturally decorative louvers or with screening to allow for functionality and ventilation. Focal Point Half Round: Half Round louvers available as architecturally decorative louvers or with screening to allow for functionality and ventilation. Focal Point Octagon: Octagon louvers available as architecturally decorative louvers or with screening to allow for functionality and ventilation. Focal Point Oval: Oval louvers available as architecturally decorative louvers or with screening to allow for functionality and ventilation. Focal Point Peaked: Peaked louvers available as architecturally decorative louvers or with screening to allow for functionality and ventilation. Focal Point Rectangular: Rectangular louvers available as architecturally decorative louvers or with screening to allow for functionality and ventilation. Focal Point Round: Round louvers available as architecturally decorative louvers or with screening to allow for functionality and ventilation. Focal Point Triangle: Triangle louvers available as architecturally decorative louvers or with screening to allow for functionality and ventilation. Focal Point Others: Different shaped louvers available as architecturally decorative louvers or with screening to allow for functionality and ventilation. Focal Point Niches: Transform any wall dramatically with a niche or use a niche kit to add an elegant bookcase to a wall. Focal Point Shelves & Mantels: Use a shelf and mantel to quickly and easily display picture frames or collectibles. These shelves are full of decorative architectural detail and are easy to install. They can be combine with a set of corbels for a unique look. Focal Point Stair Brackets: Add a touch of architectural elegance to your steps with a set of stair brackets. Available for both right and left configurations and also in flex! 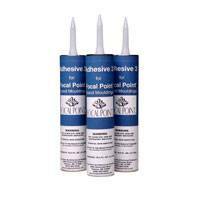 Focal Point Adhesives & Tools: Adhesives and tools to easily and quickly install all polyurethane products offered.